The influx of African migrants into Europe in recent years has raised important issues about changing labor economies, new technologies of border control, and the effects of armed conflict. But attention to such broad questions often obscures a fundamental fact of migration: its effects on ordinary life. 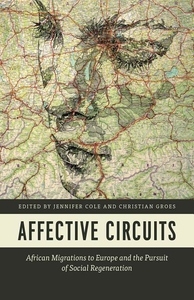 Affective Circuits brings together essays by an international group of well-known anthropologists to place the migrant family front and center. Moving between Africa and Europe, the book explores the many ways migrants sustain and rework family ties and intimate relationships at home and abroad. It demonstrates how their quotidian efforts--on such a mass scale--contribute to a broader process of social regeneration.